NEW YORK — “Mayor Pete,” as he’s known to his growing fan base, is running a surprisingly strong and well-funded campaign for president. Lori Lightfoot has just won a landslide victory to become Chicago’s mayor. It was only in 1998 that Tammy Baldwin of Wisconsin became the first openly gay person to gain a seat in the House of Representatives. There are now eight LGBT members of the House, and two in the Senate — Baldwin and Arizona’s Kyrsten Sinema, whose bisexuality never became an issue in her closely contested election campaign last year. 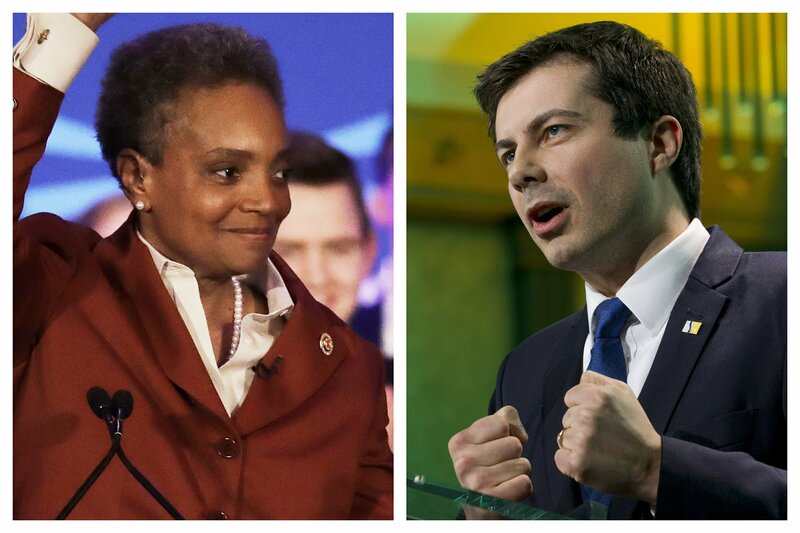 Lightfoot’s victory Tuesday in the third-largest U.S. city, along with lesbian Satya Rhodes-Conway’s victory in Madison, Wisconsin, brings the number of LGBT mayors to 37, according to the LGBTQ Victory Fund, which recruits and supports LGBT candidates. In Colorado, Jared Polis was inaugurated in January as the nation’s first openly gay governor. “For many members of the LGBTQ community, a candidate’s mere identity as gay or lesbian is not enough,” said professor Katherine Franke, who teaches gender and sexuality studies at Columbia University. Thus far, the advancement of LGBT politicians has not been a bipartisan phenomenon. Very few of the nation’s top-tier LGBT elected officials have been Republicans, and only a handful of Republicans in Congress have signaled support for the Equality Act, a sweeping LGBT-nondiscrimination measure that has near-unanimous Democratic support.